We are still in the season of Christmas and MTN is doing everything possible to make sure we enjoyed our Xmas celebration on their network. MTN season of surprise is still up and running with different offers from the telco company. Just like the free 100MB data they gave to some subscribers early this month, December 2017, MTN is still giving out another free 150MB data for Game+ and free N500 airtime. The free 150MB Game+ data is only usable on MTN's game website where you can choose from different types of games including Racing, Sports, Music, Action, Strategy, Role playing, Puzzle and Cas-ino games. 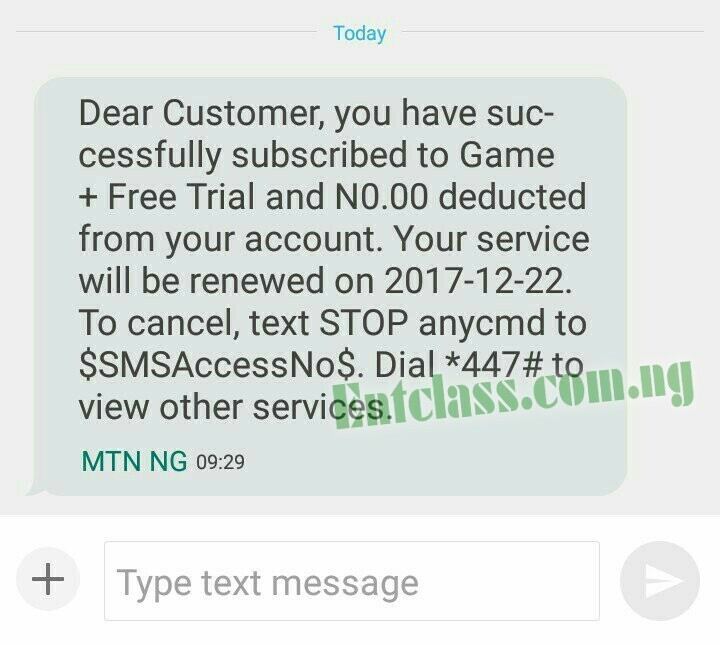 In this post, I'll quickly show you how to get your own free 150MB MTN Game+ data and how to use it on all apps on your Android phone. Just follow me along. 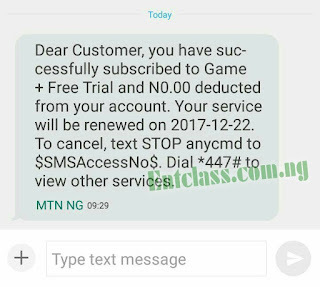 It's very simple to activate, just sms “XMAS” in capital letter to “2200” and you’ll be credited with free 150MB Game+ data bonus and N500 to celebrate Christmas. The data is valid for 7 days and you can as well check your data balance by dialling *131*4#. 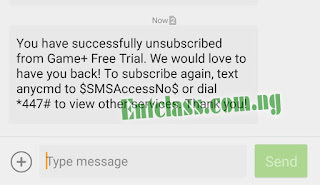 HOW TO UNSUBSCRIBE FROM MTN GAME+ AUTO RENEWAL? To cancel auto renewal before data expires, just sms STOP to 2200. HOW TO USE THE GAME+ DATA ON ALL APPS? If you have been following me on Entclass Blog, you would remember when I shared MTN Game+ Psiphon settings last year 2016. That same settings is what is required to use the Game+ data on all apps. Follow Here for the settings. Were you given the free data and airtime? Or you encountered any problem? Please comment below and I'll reply almost immediately. Please don't forget to share this post. Just 150mb or someone can accumulate ? I have be giving the 150mb. According to the text message, they said we should follow them on Twitter for the Airtime. I don't think they are serious about the Airtime aspect. Like seriously, lol. I can remember i did enjoy it too. Lol na won kill person with laugh. 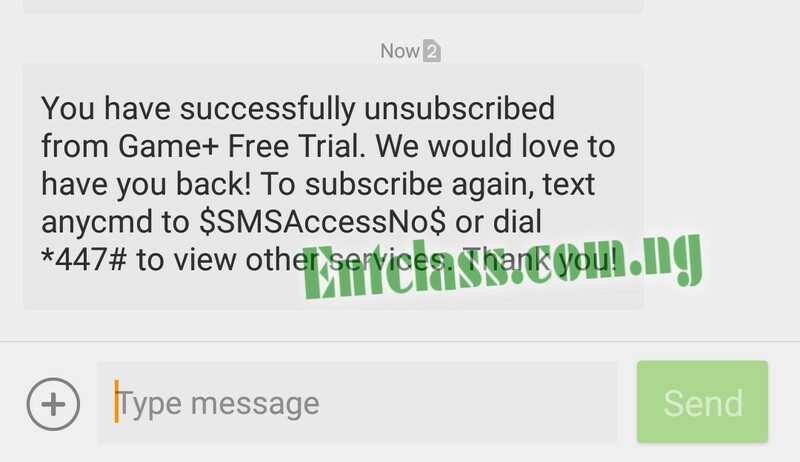 Kachi you are a wizard in all kinds of browsing treak I have just received 3Gb on 2 of my mtn sim,but after when I try it again they said I have been blacklisted,you guy should also try urs now. I think this is a nice development from mtn. Hello guys for those who can stop from active subscription again all they have to do is to send stop to 2200,and it is done then if you want to resubscribe again send Xmas to 2200. I have done mine and i was given 1.5gb ,i advice you all to quickly do yours before it too late.because i could remember when someone did his own and he was blacklisted and i it was too late for me to do mine .and i was just offered 150mb. So i hug you all to quickly do yours asap. Pls but kachi after following them on twitter what are we to do next. I still don't understand their free 500naira airtime. Following them on Twitter won't credit your account with the Airtime. Maybe it's just a way they are using to gain more Twitter followers. Send the text message in Capital Letters without the quotes. It's working. Did you follow the settings very well? Yes. Sms STOP to 2200 and sms XMAS to 2200 again. Just like that. It might be that your network is not strong. But pls kachi can the psiphon settings work on version 6.0 device,because mine is not connecting. Hey man.. The link you provided above isn't working.. The download link... And I'm using psiphon a+ it isn't connecting... Must my account balance be 0.00?? No. Link have been updated. Kachi, is there any VPN solution for it? Accumulate by sending STOP to 2200 and sms XMAS to 2200 again. Just like that. OK thanks Kachi, can it be powered with VPN? Nice one man, let me check it out and give feedback. It should work. Though I'm using v5.1. Or is it that 7.0 doesn't support vpn tunneling? Not sure. it works but slow on download s..pls help with fast VPN like anonytun. thanks for the good work boss. i guess it's been blocked.. My psiphon stopped connecting..
tested this,i was given 150mb, used psiphon with it but not working with the settings given, not browsing. Depends if the game support Pad. For now, I can't say much as i haven't got my hands on it. The first time I sent xmas I was given 150mb but when I sent stop and then xmas again to accumulate it, they wiped off everything, and since then no more response.